• Book a 6 night stay for April and get the 6th night free! Use promo code 6FREE at checkout. Enjoy this luxurious 1 bedroom vacation rental located in the Lakeside Resort community. Beauty surrounds this Huntsville condo with incredible views of the Wasatch and Monte Cristo Mountains. Experience the warmer seasons through abundant hiking and biking trails or take a dip in Pineview Reservoir just a short walk away. 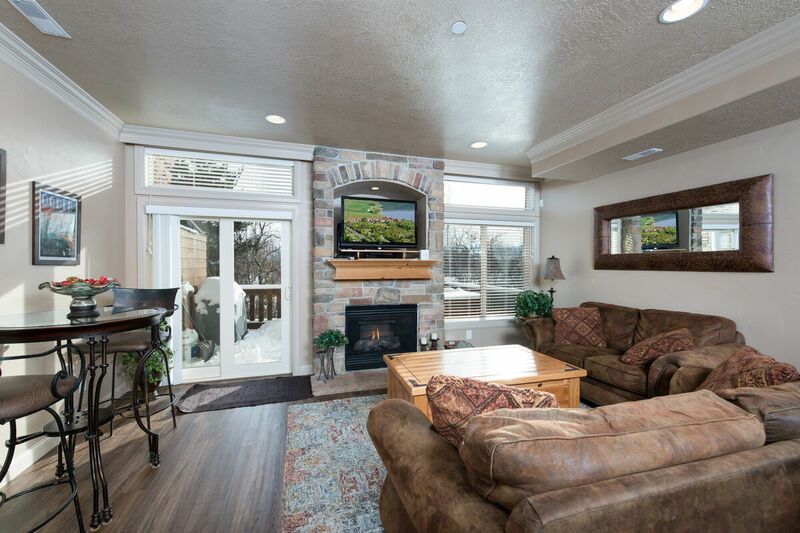 Winter is the perfect time to plan a ski vacation for Snowbasin Resort, just a 7-minute drive from Lakeside Lodging. 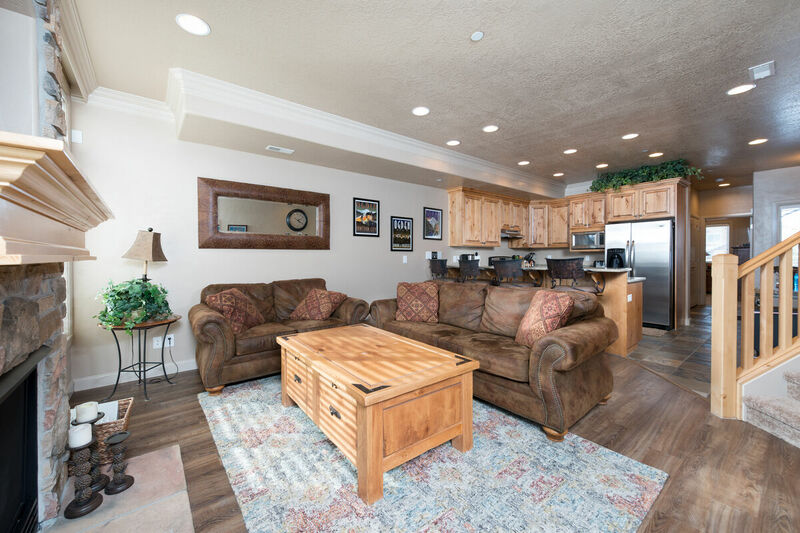 This Huntsville, Utah lodging option features two levels and comfortably sleeps up to 4 people. 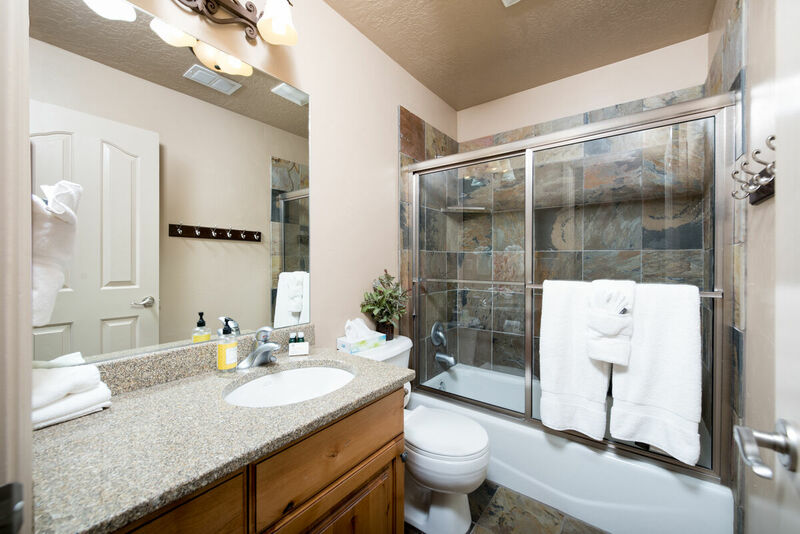 Also included is a large kitchen, living room, dining area, outside deck with a hot tub, and a laundry space. 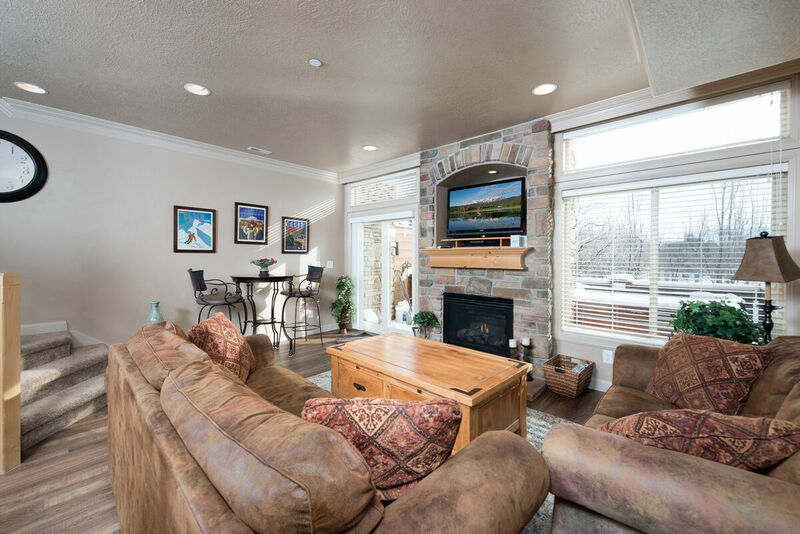 The main level opens to a spacious living room with decor suitable for a mountain sanctuary. The gas fireplace gives the room a warm ambiance that feels like home. A queen sofa sleeper offers additional sleeping quarters that can be neatly tucked away. The kitchen features granite countertops, side by side refrigerator/freezer, fully stocked cabinets with kitchenware, and much more. 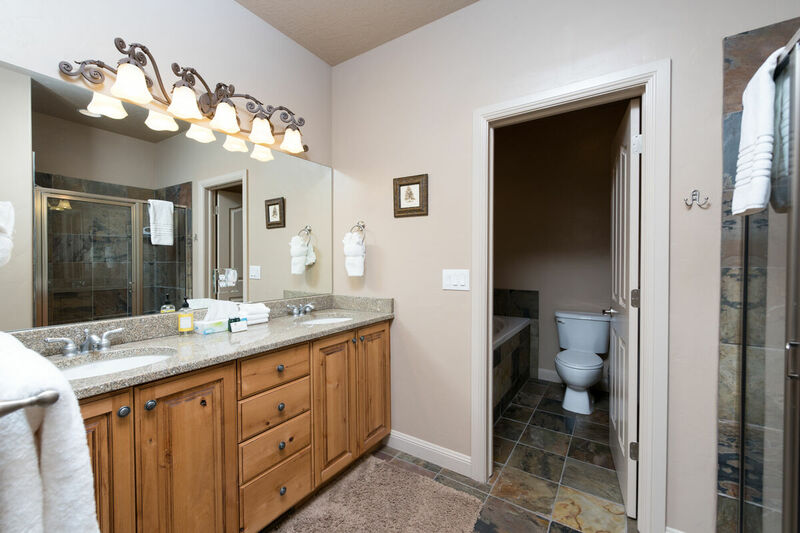 A full bathroom is located on this level for convenience. 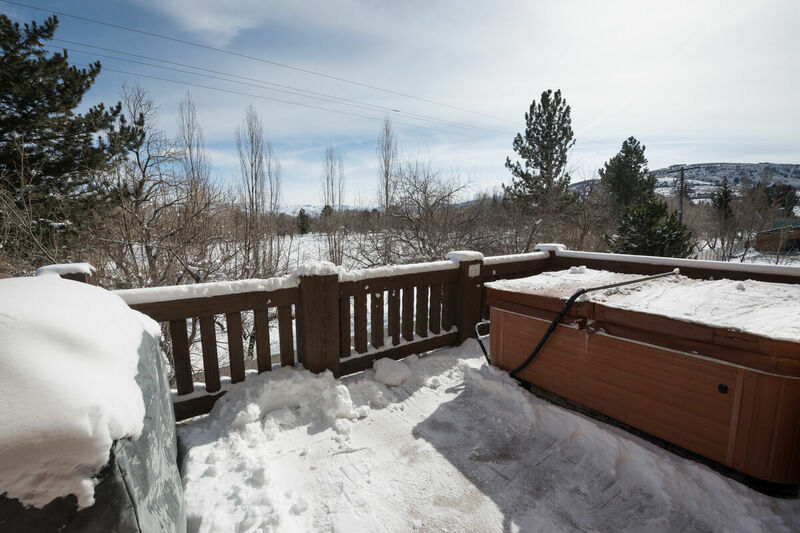 The main level deck has a perfect outdoor space with a hot tub and grill. The area is surrounded by beautiful green trees and foliage in warm months or a picturesque winter wonderland in the cold months. 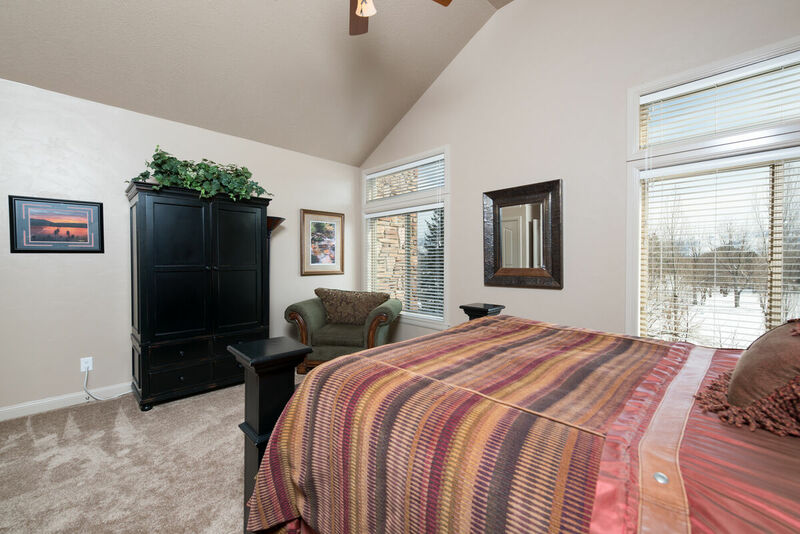 Enjoy the grandiose master bedroom complete with elegant mountain-themed furnishings and decor. The new carpet and California king sized bed ensures a relaxing and luxurious space. 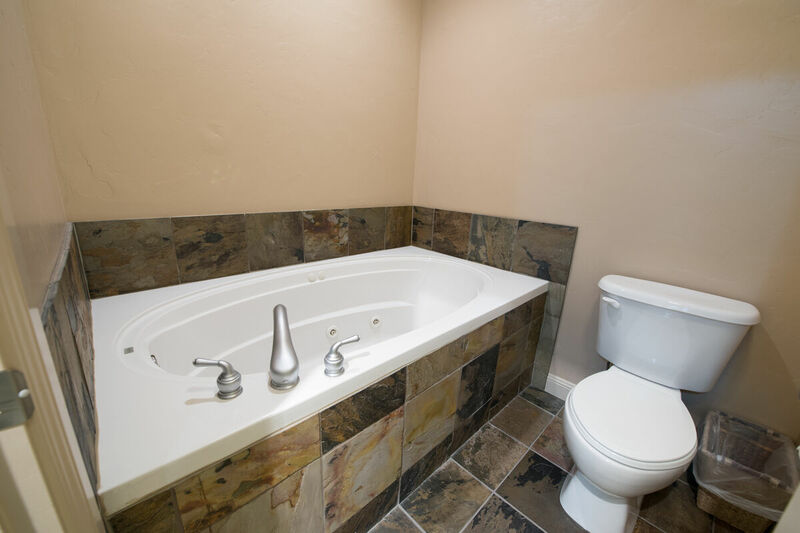 Attached is a full bathroom with a jetted tub. The Ogden Valley goes through all four seasons so there is always something to do. Enjoy the winter life on the ski slopes at Snowbasin Resort or Powder Mountain. Beat the heat in spring and explore the Cache Valley National Forests through the abundant hiking and biking trails. Summer is the time to hit the water on Pineview or Causey Reservoirs and enjoy the beaches. Or, watch Ogden Valley change colors in Autumn and enjoy the weather before it gets too chilly to swim! The kitchen is supplied with many extras like spices, blender, pans, toaster, coffee maker, coffee grinder, mixer,a crock-pot, dishwasher detergent, garbage bags, and paper towels. Complimentary bag of whole bean coffee. The closets are stocked with plush blankets, towels, and extra pillows. Each bathroom has hotel size Paul Mitchell toiletries, Caldrea hand soap, and hair dryer. Concierge services include discount lift tickets for Snowbasin, Snowbasin shuttle, pre-arrival grocery & liquor service, on site massage service, and more. Reservations must be made 48 hours in advance, call the concierge for current pricing and details 801.745.3194. This property is managed by Mountain Luxury Lodging, a division of Mountain Luxury Real Estate with five out of five on TripAdvisor. There is no such thing as a bad day in the mountains, let us be your guide. 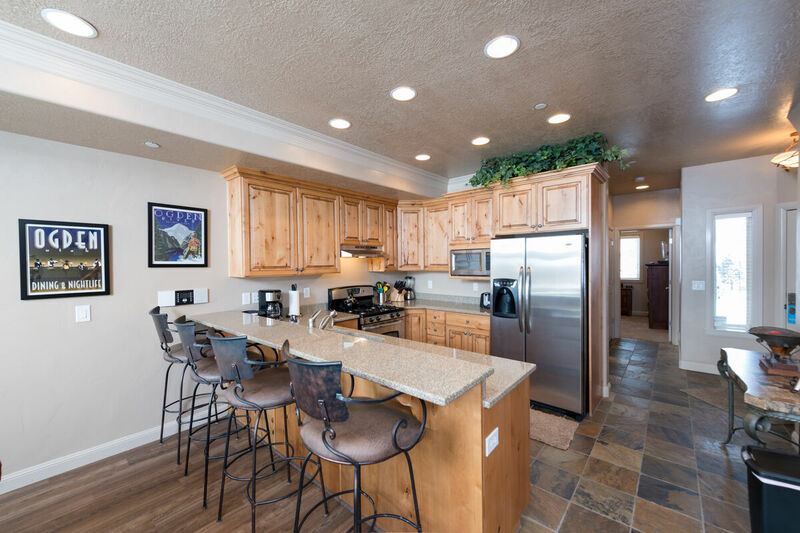 Other rentals in Huntsville, Utah include The Escapes at Edgewater and Snowbasin Lodging. Want more than a vacation? 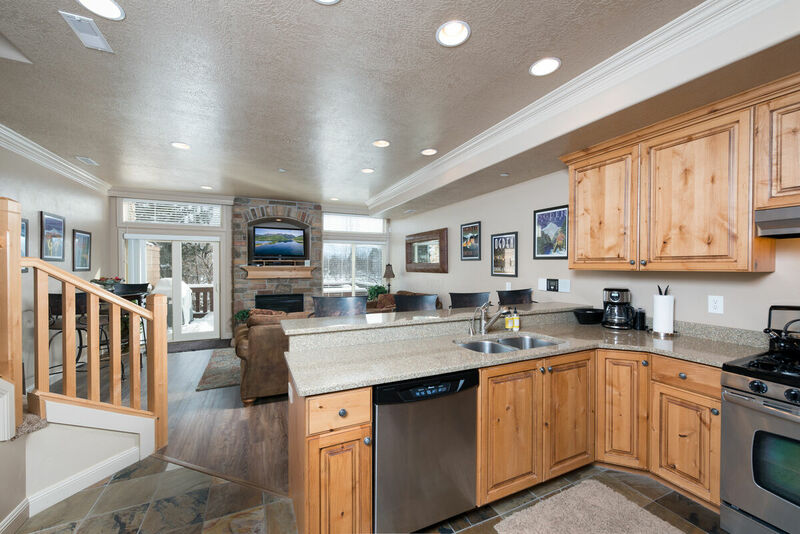 View Huntsville real estate, Lakeside Village condos, or Ogden Valley homes for sale.